This two-day Charleston itinerary is sure to take you to places you’ve never imagined and experience the Lowcountry in a way you won’t find in tour guides. Get ready to immerse all your senses in our rich culture, history, and natural habitats as you venture to the outer limits of Charleston County. From The Charleston Chestnut Mansion, you will take East Bay Street north to the Ravenel Bridge toward Mount Pleasant and continue on Highway 17 North. Boone Hall Plantation is still a working plantation with an expansive farm. Their market is loaded with local produce, meats, and other grocery items. Here you can pick up what you need for the perfect picnic to enjoy on your Bulls Island adventure. You will meet at Garris Landing to hop aboard the Coastal Expeditions boat to Bulls Island. If you like birding, hiking, beach combing, the chance to get away from the harried mainland, bald eagles, alligators, bobcats, dolphins, and otter, then Bulls Island is for you. The Bulls Island Ferry takes your through pristine waters where you will see natural wildlife habitats and breathtaking views. Once on the island, explore some of the 16 miles of trails and 7 miles of undeveloped shoreline. Once you depart Garris Landing, head back south on Highway 17 toward Charleston to The Center for the Birds of Prey, whose campus offers guided walking tours, flight demonstrations, and the chance to explore on your own. The flight demonstration is a must. Watch hawks, falcons, owls, eagles, kites, and vultures soar above the flying field. You can also follow the natural paths, which include a variety of aviaries housing nearly 50 species of eagles, falcons, hawks, owls, vultures, and other birds of prey from all over the world. You will have passed Seewee Restaurant about a half mile before your arrived at the Center for the Birds of Prey. It is worth the U-turn to head back and enjoy its Southern home cooking. This restaurant is a neighborhood staple serving only locally sourced food. Feast on authentic comfort food and enjoy live music on their patio. Today you will venture South on Highway 17 from The Charleston Chestnut Mansion. We recommend using a navigation app to find the quickest route out of downtown to West of the Ashley. Along the way, stop at Harris Teeter on East Bay Street to pick up some lunch to eat later while you’re at Caw Caw Interpretive Center. The Edisto Island Serpentaruim is the oldest in the state and is dedicated to the recognition, preservation, and study of reptiles. See and experience these magnificent creatures in both their indoor and outdoor facilities. Alligators and turtles swim and play in large outdoor ponds and gardens, while other reptiles bask in the indoor solarium. You will head back toward Charleston from the Serpentarium to Caw Caw Interpretive Center. Caw Caw was once part of several rice plantations and home to enslaved Africans who applied their technology and skills in agriculture to carve rice fields out of cypress swamps. Meander through over 6 miles of trails winding through the rice fields, swamps, wetlands, and plantation ruins. Caw Caw is also a birding hotspot and home to alligators, swallow-tailed kites, bald eagles, deer, otter, waterfowl, songbirds, and many others. You will continue back toward Charleston and make your way to James Island. The Terrace Theatre has been awarded as one of the best independent movie theatres in the country. Aside from their incredible selection of independent films, they offer traditional and unique concessions along with local and international beers and wine. Before the show, enjoy dinner at either Zia Taqueria or Maybank Public House. Both are located next to the Terrace Theatre and are favorites among locals. Our location in the heart of Downtown Charleston not only puts the entire city at your fingertips but also makes driving to these locations quick and easy. With endless historical attractions, fine dining, shopping, and tours, you could spend your entire trip just on the peninsula and create the vacation of a lifetime. However, Charleston County’s magnificence extends far beyond downtown. 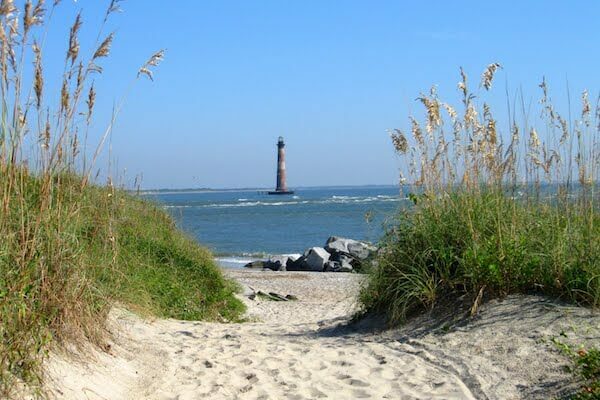 With so much beauty and history to be discovered all across the Lowcountry, it’s worth taking a drive to our outer limits to experience some of the lesser known treasures.